but it has been great speaking with LEYYA about their new L.P., Sauna. The duo talk about its recording and inception; whether they have a select cut from the record; what the scene is like in Austria (where they are based) – and whether they are coming over to the U.K. 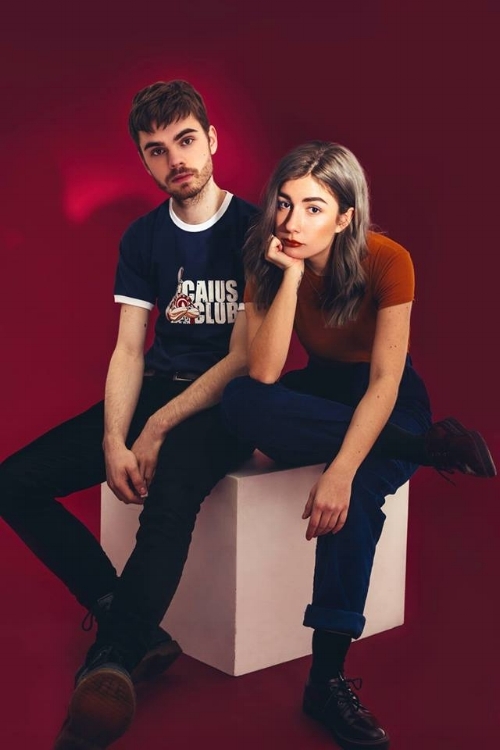 I ask them about influences and how their music has changed; a new artist we need to check out; what tour dates are coming up – Marco and Sophie select a song to end the interview with. Hi, guys. How are you? How has your week been? Hello. We are fine, thank you. We just came back from our album release tour and are pretty tired - but we have to prepare for Mexico and Texas as we are playing there the next week. For those new to your work; can you introduce yourselves, please? Hey. 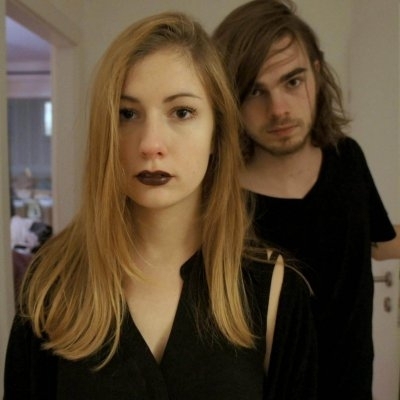 We are Marco and Sophie from Vienna, Austria - and we are a duo writing and producing Pop music in different variations. 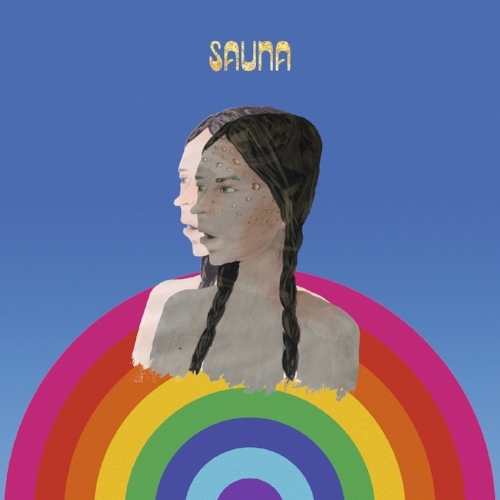 Sauna is your new album. What sort of themes and stories inspired its creation? We have worked very hard the last two years on that. At one point, we decided to not care about any expectations we had and thought one might have about us and just make music. We took inspirations from every kind of genre and countries and didn't limit our output in any way. That kind of making music is quite fun because you don't take yourself that seriously. In the end; you end up with music you never thought you're going to make. It will be released through LasVegas Records/+1 Records. How supportive have they been to you guys? We met Andi from Las Vegas Records at the very first beginning of our career. He has heard our very first, really crappy, demos and still signed us because he saw potential in our music. That's what we appreciate the most. Both Las Vegas Records and +1 Records are very supportive. I guess that's because they really like our music - and that's nice. How do you think Sauna differs from your debut L.P.? Do you feel it is a broader, more confident work? When we started, we merged experimental Electronic with singer/songwriter influences. Now, while working on our second album, we developed a rougher and more playful sound. We now focus on instruments and sounds from all over the world - and combine them with our original, maybe even naive, way to make music. The vocals and the beat received a spot in the foreground for a more intimate feeling and, what was very important to us in the songwriting process, is to have different layers - so that everyone can find their ‘space’ in that song. You can listen to it as a ‘simple’ Pop song...but you can also dive a little deeper and realise that there is more to that. It is always important to us that a song doesn‘t lose its magic after hearing it two or three times - and that there is always something to discover every time you hear it. Is there a track from the album that stands in the mind? It's hard to only choose one song - because we have worked very hard on every single song to be 100% perfect in our heads. In general; the whole album works as a whole: it is one whole piece from beginning to the end. But, if we really have to choose then probably, In Your Head; because it is very soft and calm in the beginning and, in the middle of the songs, there is a very hard break...and Sophie also has a strong connection to the lyrics. How did you guys get together and form Leyya? Is there significance behind that name, too? Sophie: Marco and I come from the same little town in Upper-Austria where it is quite hard to find someone with the same musical interests. We always made music together and, at one point where we finally found our sound, we decided to convert into a project. The name 'Leyya' was originally the name of my singer-songwriter project that we just kept. What sort of music were you both raised on? Did you discover music at a very young age? Sophie: In our village, we have a small music school that we both attended at an early age but, instead of joining traditional marching bands later - which was common in our village - we both concentrated more on 'modern' music. I started writing songs (in English; although I almost didn‘t know a word) when I was eleven - just with an acoustic guitar and my voice. Marco played the drums and started to produce his own 'electronic' tracks. We formed a Rock band together when we were around thirteen/ fourteen and, when we grew older, our music grew with us. We learned a lot, just by experimenting with recording. Vienna is where you are based. What is the city like in terms of music and opportunities? We moved to Vienna a few years ago because, at home, we couldn’t really find an audience or someone to work with - and that kind of limits your creative output. Although Austria is very small in general, Vienna does have a little community - and it is easier to reach certain people. But still, most Austrian musicians concentrate on 'expanding' a little bit and try to bring their music out of Austria as well. We have loads of good musicians in Austria - but it seems as if the rest of the world fails to see that. Who are the new artists you recommend we check out? 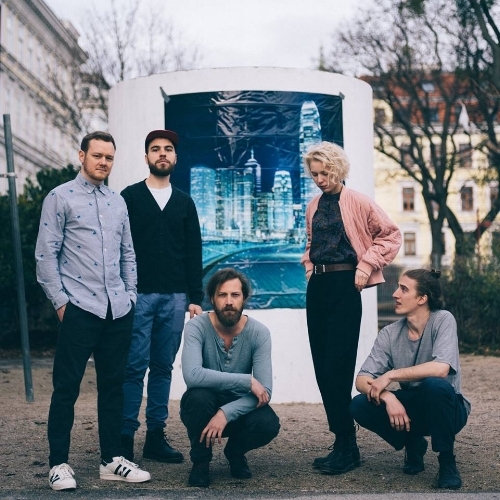 There’s an Austrian band, 5K HD, who have just released an amazing album. If you each had to select the one album that means the most to you; which would they be and why? Marco: I‘d probably choose Dark Side of the Moon by Pink Floyd because my parents used to play the album in the house, back then, when I was a child. Actually, there is no 'best album' - but there‘s just a lot of memories attached to that specific record. Sophie: Alabama Shakes‘ - Sound and Colour. This record has such a feeling to it without getting cheesy. Every instrument is on-point and Brittany‘s vocals always drive through my spine. It has inspired me a lot the last few years. What advice would you give to artists coming through right now? There will always be people trying to change your sound or the way you make music just to fit in a certain scheme - or people who say you can‘t have success because you‘re not mainstream enough. It‘s important to believe in what you‘re doing and to withstand the pressure others give you - and you, maybe, even give yourself. What tour dates do you have approaching? Where can we see you play? We did a small tour around Europe in February – Germany, Austria; Netherlands, Belgium etc. In March, we‘re playing in North America, Texas and Mexico. We‘ll continue touring in April and May with some more dates in Europe that we‘ll announce on our website. Do you think you will come and perform in the U.K.? What do you think of the music we make over here? We have already played a few times in the U.K. - only a month ago, actually. But; we‘re coming back, for sure. What do you hope to achieve, personally, in 2018? We don‘t really plan into the future; especially in that kind of business; it is hard and almost impossible to do so. That‘s why we only know what‘s about to happen in a few weeks or months and, at the moment, everything is built around the release of our new album, Sauna. We're touring in and outside of Europe - and are excited to see what the rest of 2018 has to say. Finally, and for being good sports; you can each name a song and I’ll play it here (not one of yours as I’ll do that).